ALI ZAFAR is performing in the first ever digital concert of Pakistan for his fans. Mobilink Jazba is organizing the event of ALI ZAFAR's digital concert. You can watch ALI ZAFAR performing live at your computer and enjoy. 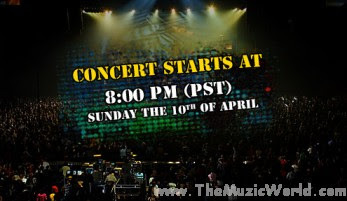 The digital concert of ALI ZAFAR will be live streamed on Jazba’s official website from 10th April 2011 at 8:00 PM PST. Dont miss it.